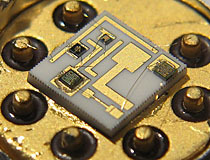 During the twilight of the electron tube era, many companies produced solid state tube replacements; semiconductor devices designed to mimic the shape and function of an electron tube. One such device was the Fetron, a metal can semiconductor that resembles a TO-5 transistor scaled up to comic proportions. 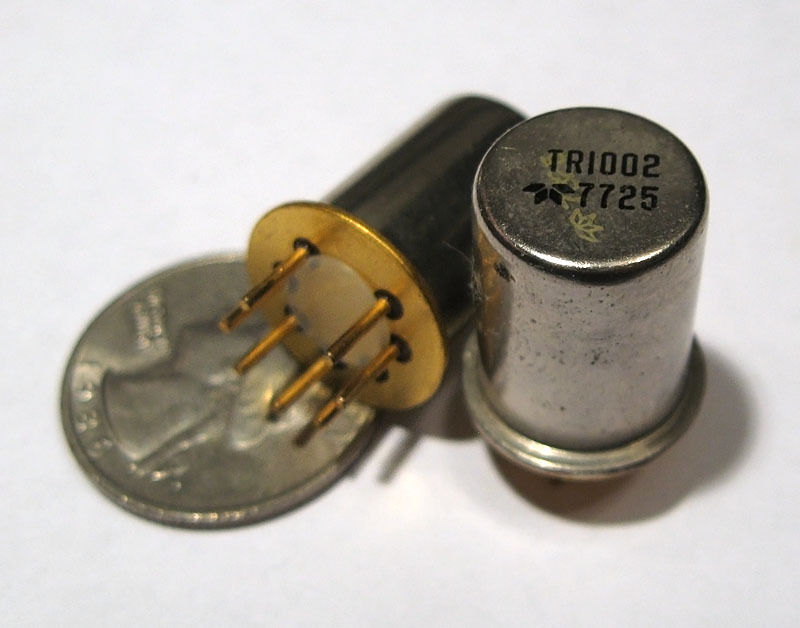 Believed to have been originally produced by Western Electric, Fetrons were intended to replace the large number of glass electron tubes used in legacy telephone switching systems. 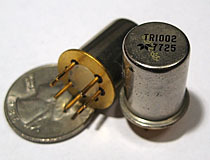 The example shown here, a TR1002 solid state diode produced by Teledyne, is a 7 pin device intended to be a drop in replacement for a 6AL5 electron tube. The inside of the can is mostly empty space intended to make the device feel more 'tube-like', a ceramic wafer hybrid microcircuit is preformed to the bottom of the can and attached to the leads with bond wire. A plastic spacer attached to the base prevents the tube's metal case from shorting out when pressed against older legacy tube sockets. Fetrons are probably best known for their use by Heathkit, which marketed a solid state conversion kit for their line of tub-based voltmeters. This kit could convert Heathkit and competitor VTVM's over to solid state components, and included a TR1002 diode as well as a 9 pin TR1119 triode. Teledyne TR1002 Fetron, at rest. Fetron shown with lid mechanically removed. 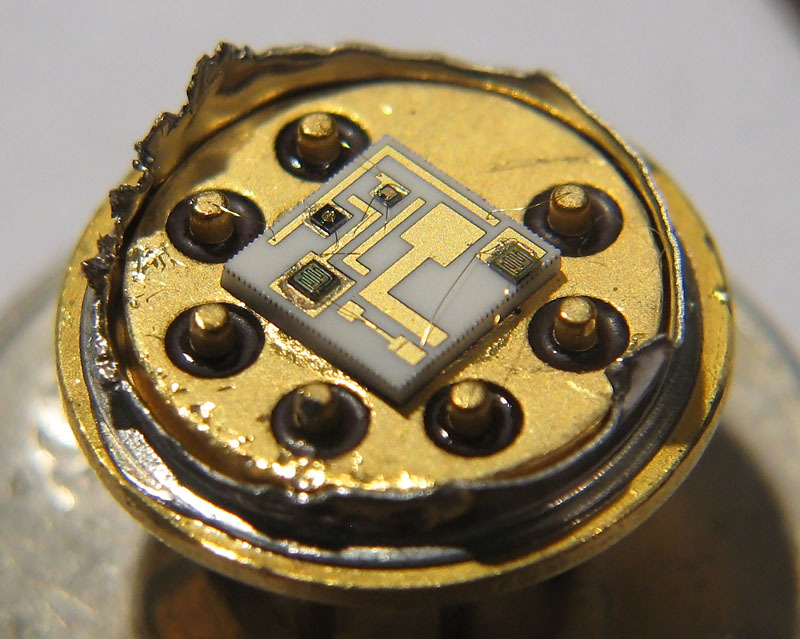 Inside is a ceramic wafer carrying several semiconductors attached with bond wires.